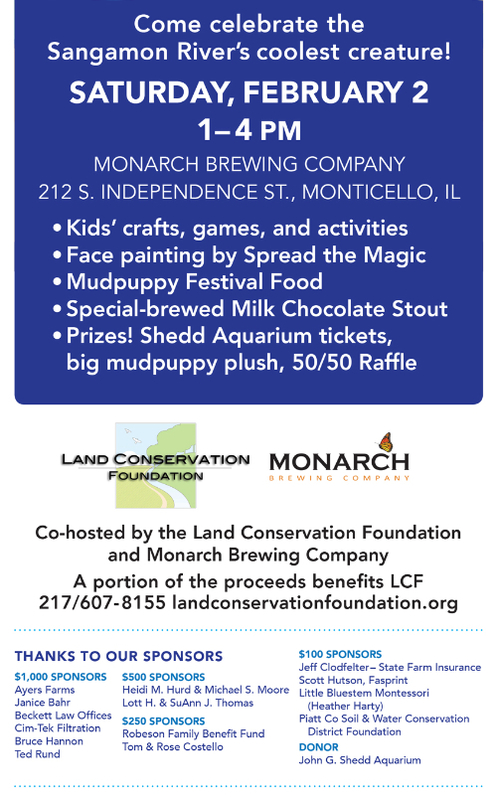 2nd Annual Mudpuppy Festival scheduled for Saturday, February 2, 1-4 pm at the Monarch Brewing Company in Monticello. Mudpuppies are a threatened species of salamander that sound like a puppy barking when on land. And, we have them right here in Monticello in the Sangamon River!